One of the best ways we can build community while feeding the hungry is to more fully develop a gleaning program in North Central Washington. 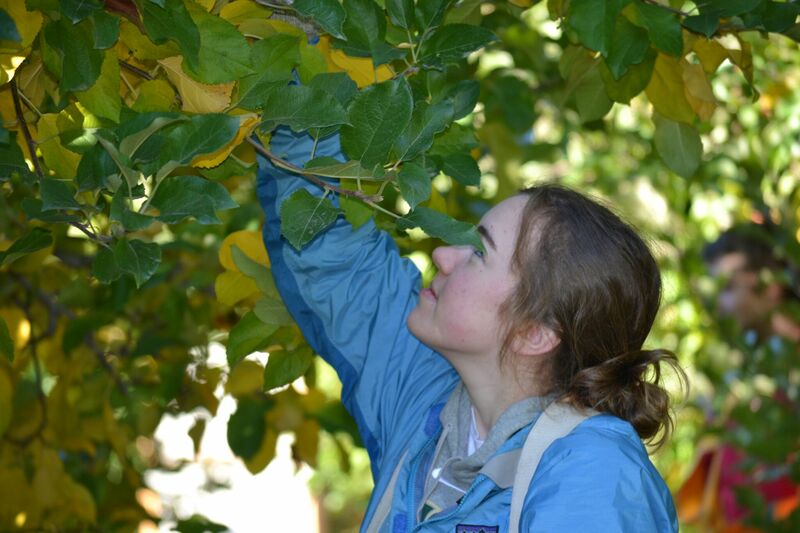 In a gleaning program, volunteers harvest leftover fruits and vegetables from local farmers. It’s a virtuous circle of contribution. 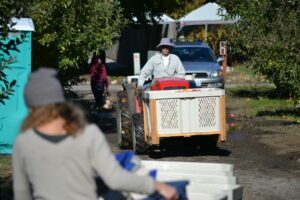 Upper Valley MEND (Meeting Each Need with Dignity), a nonprofit based in Leavenworth, took a giant leap forward in its Community Harvest gleaning program this year, according to coordinator Oliver Crain. Fresh fruits and vegetables from local farms allow those in need in our communities to eat a healthier diet while providing the opportunity for farmers to make important contributions to the community and reduce the amount of wasted food. The approach works because it is volunteer-based and emphasizes collaboration and cooperation, which is a hallmark of North Central Washington communities. As neighbors, we help those who are less fortunate. Crain, who just completed his first full year as the Community Harvest gleaning coordinator, said the total amount of food gleaned this year more than doubled from 2015, from 20,000 pounds to 45,000 pounds. That’s a tremendous success. Support from the Wenatchee Valley Farmer’s Market in the form of donated cold storage space was key to increasing the amount of food going to local food banks, including MEND’s own Community Cupboard operation and the Community Action Council’s regional food bank distribution center. Farmers Market Executive Director Britany Meiklen-Fink helped make that contribution possible, Crain said. Having cold storage meant that food that might spoil can be kept fresh longer. Gleaning contributed up to 50 percent of the fresh produce in regional food banks, Crain told me. 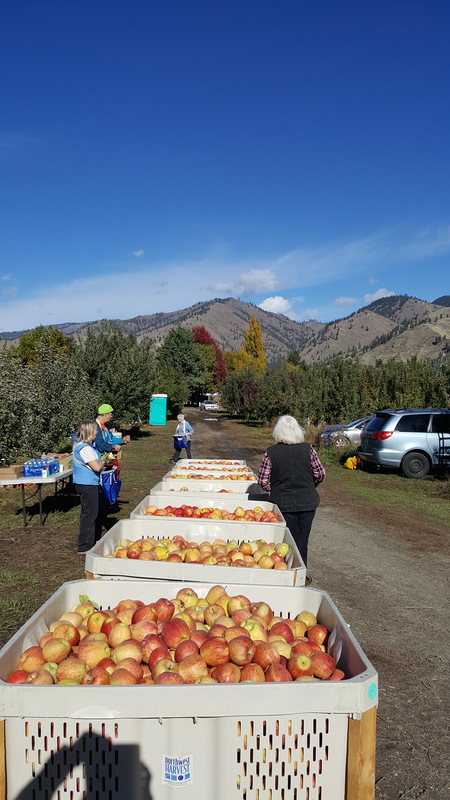 Gleaning is an all-volunteer process and Upper Valley MEND has a stable of volunteers from across Chelan, Douglas, and Grant counties who create their own sense of community by contributing time and energy to harvest food when it becomes available. MEND is building a growing list of local farmers and backyard fruit growers who are willing to contribute excess produce. 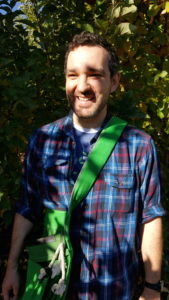 Crain, a graduate of Wenatchee High School, studied environmental policy and economics when he was at Western Washington University and then went into teaching for four years. He started with MEND a year ago last September. “My favorite part is working with the people,” said Crain, referring to the gleaning volunteers, the growers, distributors and even clients who receive the produce at food banks. He enjoys being the hub of the wheel that makes this amazing community process work. About half of the food gleaned goes to Community Action Council for food bank distribution in Chelan and Douglas counties, while the rest goes to the Community Cupboard in Leavenworth, the Salvation Army, Lighthouse Ministries, and other area food pantries. To feed hungry people nutritious local food contributed by farmers and processed by volunteers is his definition of meaningful employment. “I hate to see food go to waste,” Crain told me. Gleaning is just starting to take off in North Central Washington and Crain sees lots of opportunities to take food that is going to spoil in backyard gardens and small farms and get it into the stomachs of people who are hungry in our midst. One unique gleaning operation made noise on social media recently. A Cashmere orchardist and his wife had a beautiful crop of Cameo apples that couldn’t be profitably packed and they called MEND to figure out how to make use of as many apples as possible. MEND coordinated two gleans on the property. The first was powered by 24 local volunteers who field packed the apples with trays and boxes donated by Keyes Fibre and Northwest Wholesale of Wenatchee. Those apples, 4200 lbs. in all, where distributed locally by the Community Action Council. The second glean was a statewide project that involved volunteers from Northwest Harvest and Rotary First Harvest. Rotary First Harvest and MEND supplied more than 40 volunteers from Yakima, Seattle, Wenatchee and Leavenworth, including 10 members of the Interact Club at Cascade High School. Crain said 20 bins of apples totaling 18,000 pounds of apples were picked and shipped throughout the state. This is what community collaboration and cooperating creates in our communities. This is community creation at its finest because when people are working together for the common good, something magical always happens. The Community Harvest program costs MEND very little money a year to administer, and, in 2016, rescued over $80,000 worth of food, according to MEND executive director Kaylin Bettinger. Imagine what would be possible if local individuals or businesses stepped up to fund this wonderful effort. If you are interested in learning more about the gleaning program at Upper Valley MEND, contact Crain at olive@uvmend.org or visit MEND’s web site at uvmend.org. MEND is going to be part of the Community Foundation of North Central Washington’s Give NCW effort this holiday season, and that will be another opportunity for the community support this work. Besides a grant from the foundation, community members will be invited to add their contributions. Volunteers gleaned 100 boxes of apples at a Cashmere orchard, thanks to the kindness of the owners. 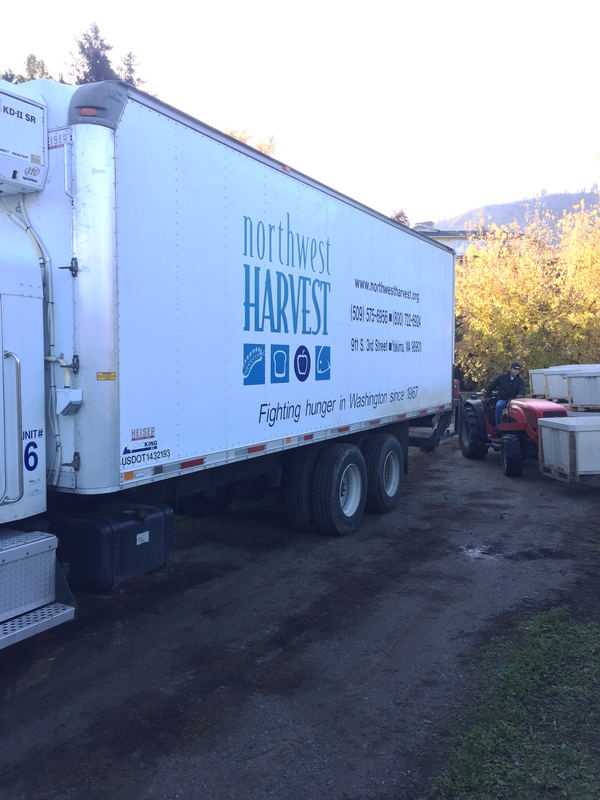 A Northwest Harvest truck hauled the fresh apples to a regional distribution center.